The Dells - Get To Know the Neighborhood! The newest addition to Birchwood’s rental property portfolio is The Dells. Located in the popular Northwest community of Dalhousie, The Dells is an established collection of townhomes and apartments, all within walking distance to everything you could possibly need. Here are some of the highlights of the neighborhood! Nose Hill Park - This beautiful park is located just across Shaganappi Trail from The Dells. Nose Hill is one of the largest urban parks in North America. Previously home to herds of bison, you can now use the park to go for a run or bike ride, take the dog for a walk (there are off-leash areas too) or just take a break from the pace of the city. 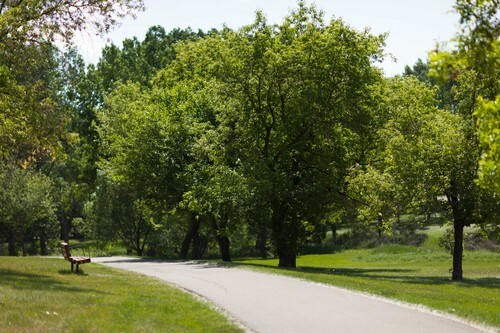 Dalton Park – this City of Calgary park is a few minutes' walk from The Dells. It has a playground, a baseball diamond, a soccer field, and lots of trees and green space. Pathways, Trails, and Bikeways – The Dells is well connected to the City’s path system – a whole network of paths are just steps away, on the West side of The Dells. From here, you can walk, run, or bike all across the city. Edworthy Park, Nose Hill Park, Bowness Park, Confederation Park, and Shouldice Park are within an easy cycling distance. There is even a free “City of Calgary Pathways and Bikeways” app that makes it easy to plan your trip! The Dalhousie C-Train is only a 3 minute walk from The Dells. From there, the sky is the limit! Take the train downtown to the Stampede or a Flames game, head to the Calgary Zoo, go for a swim at the West Side Rec center, or spend an afternoon in Fish Creek Park. Dalhousie Station Shopping Cente - You can find almost anything you need at Dalhousie Station. Grab groceries at Safeway, a Blizzard at Dairy Queen, a latte at the Chapters Starbucks, or wings and a beer at Earls. Pick up some sushi on your way home from work at Kinjo, or a box of chocolates from Bernard Callebaut. There’s a drycleaner, two banks, a liquor store, a hair salon, a doctor’s office, a dentist, a veterinarian… and much more, over 39 shops in total. Happy Shopping! 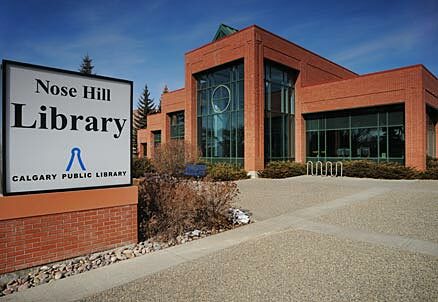 Nose Hill Library – the Nose Hill branch of the Calgary Public Library is a few minutes’ drive from The Dells. Library memberships are free! With your membership, you can borrow books, music, movies, magazines, and more. There is also free use of computers, free printing services, and free wifi! It's easy to reserve and renew books online. You can also download books to your computer or mobile phone. 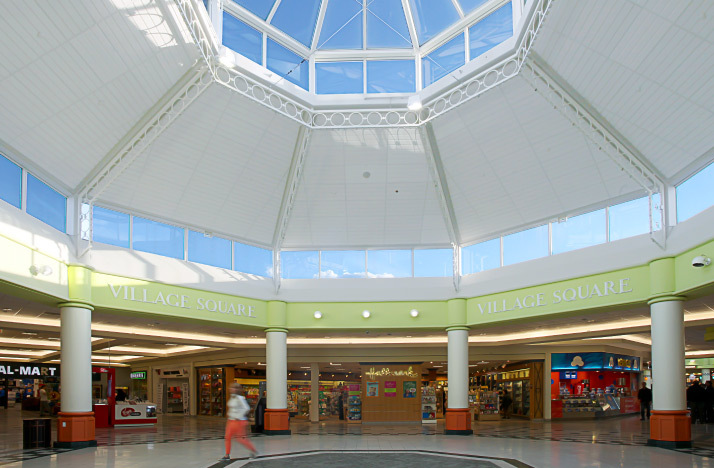 Northland Village Mall - This mall is a quick 5 minute drive from The Dells. It has a Winners, Shoppers Drug Mart, Tim Hortons, Fountain Tire, GoodLife Fitness, and a Wal-Mart. Across Northland Dr from the mall is another shopping center, which is home to an Original Joe’s and Starbucks. Dalhousie Co-Op and Canadian Tire – The Dells is a 10 minute walk from another shopping center on Dalton Drive that is home to a Canadian Tire and Calgary Co-Op grocery store, as well as a Co-Op car wash and gas station. We think you’ll love The Dells as much we do! Visit The Dells to see floorplans, an availability map, and to register for more information.